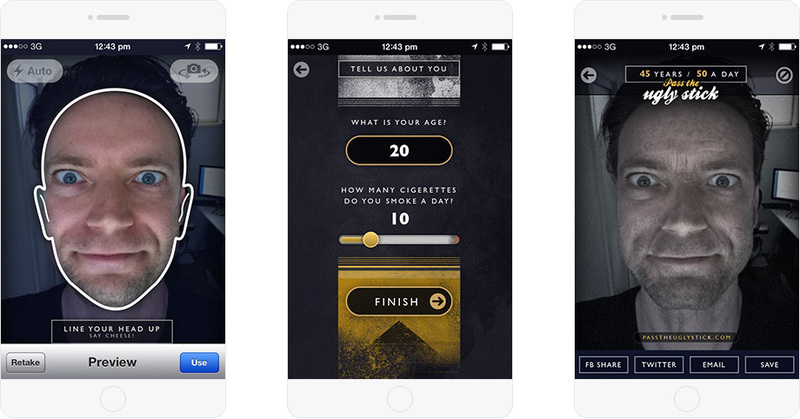 Ever wanted to see the aging effect that cigarettes have on your face? 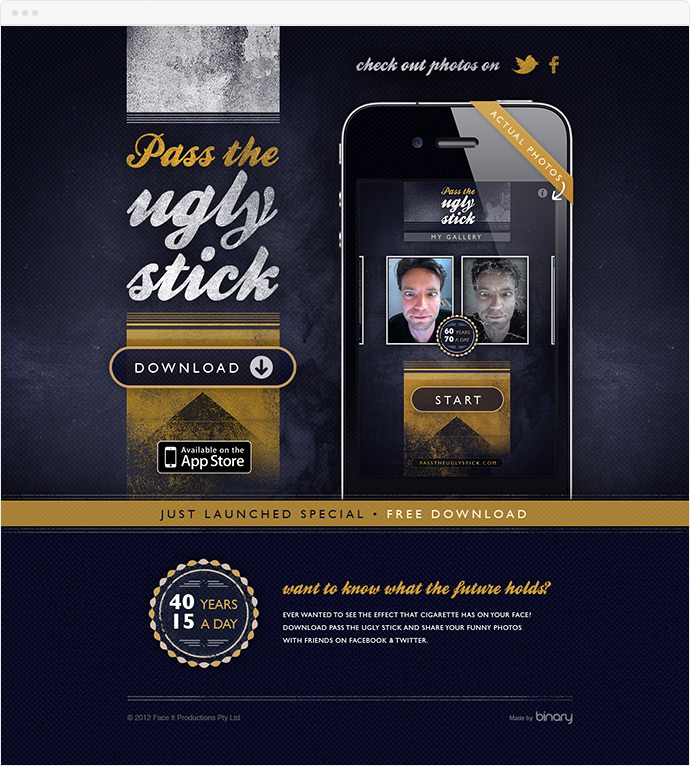 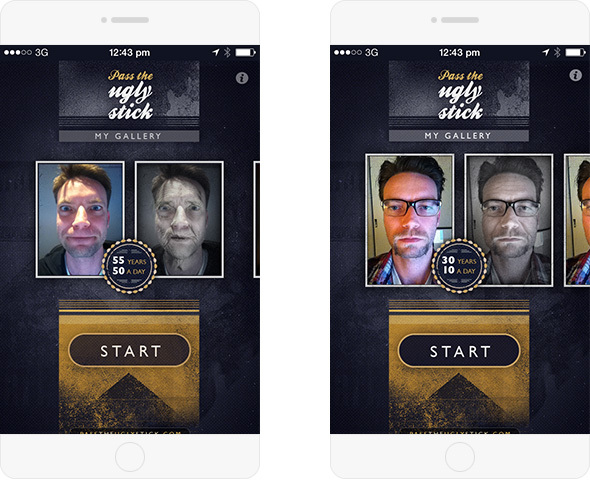 Pass The Ugly Stick is an iPhone application let you share aged photos with friends on Facebook & Twitter. 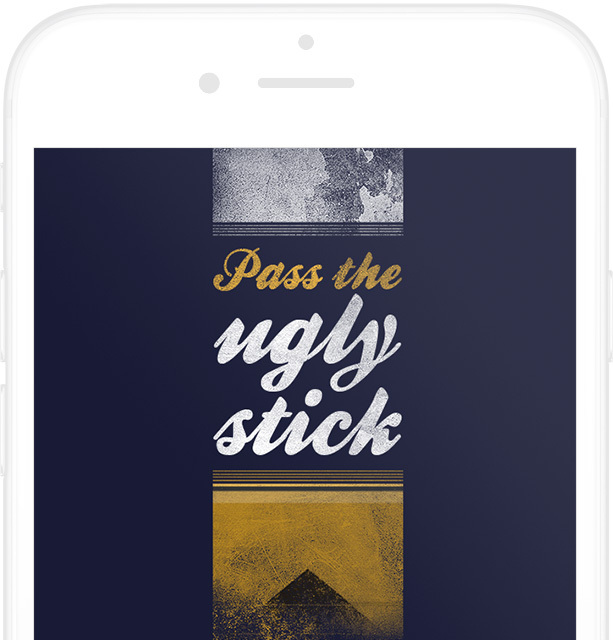 Binary took this app from a small client insight through a total branding, design and iPhone Development process for this very unique and extremely funny app.